Dr Ross Hetherington is a medical practitioner and a Designated Aviation Medical Examiner (DAME). Ross also co-founded the Central Queensland Rural Division of General Practitioners and holds a number of aviation and medical memberships. Ross has extensive experience in rural medicine and has been in private practice as a General Practitioner (GP) in Warwick since 1996.  He is a board member of Health Workforce Queensland, which supports the regional, rural and remote health workforce in Queensland. Ross is Board Chair of RHealth and was a foundation member of Regional Health Board, Longreach. He has held previous Directorships with Australian General Practice Network (AGPN) and the Australian Rural and Remote Workforce Agency Group. Liane has many years of experience in senior executive roles and as a non-executive company director in the not for profit sector. She is currently the CFO at Wanslea Family Services and non-executive director for Rural Workforce Australia, Rural Health West and two other not for profit organisations in health and education. Previous appointments in Senior Executive roles include twelve years as CFO at the Royal Flying Doctor Service of Australia (Western Operations), Management Accountant at Murdoch University and Director of Finance & Administration at Perth College. Liane first worked in Government and as a consultant with two of the large Chartered Accounting firms before taking on her first management role in the not-for-profit sector where she has now gained over 25 years of rich and rewarding experience. Bill Coote ran a general practice in the Gold Coast hinterland region for nine years and then worked for the Federal office of the AMA from 1987 until 1998, initially as a medical economist and then as Secretary General from 1992 until 1998. He was the inaugural CEO of GPET from 2001 until 2005 and was Director PSR from 2011 until 2016 . He has also worked as an adviser for two Federal health ministers.